Keep more parts and accessories in stock—in less space. In an automotive dealership, the service department is central to the profitable operation of the dealership. According to NADA, service departments are responsible for 60% of net profits at dealerships. Having an organized, smooth running parts department is critical to supporting the service department as well as maintaining customer satisfaction. 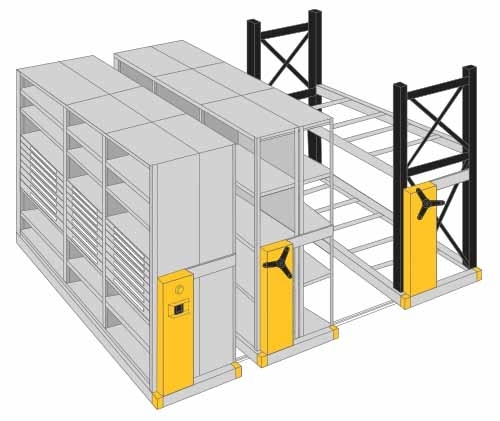 ActivRAC’s innovative auto parts storage system accommodates existing shelving and racking storage and provides a compact solution to recover wasted aisle space. Click here to learn more about ActivRAC. 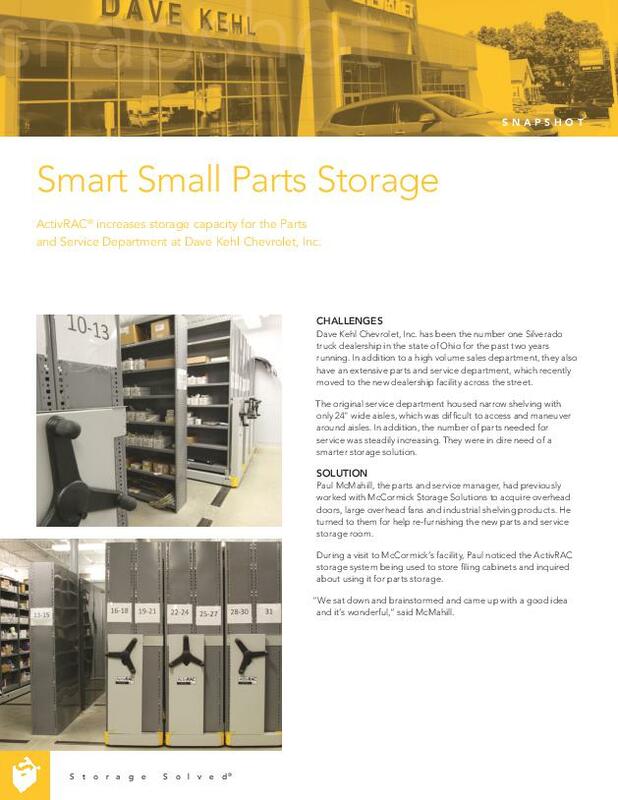 Download this case study now to learn how one dealership in Ohio increased their auto parts storage capacity by 3X’s using ActivRAC.